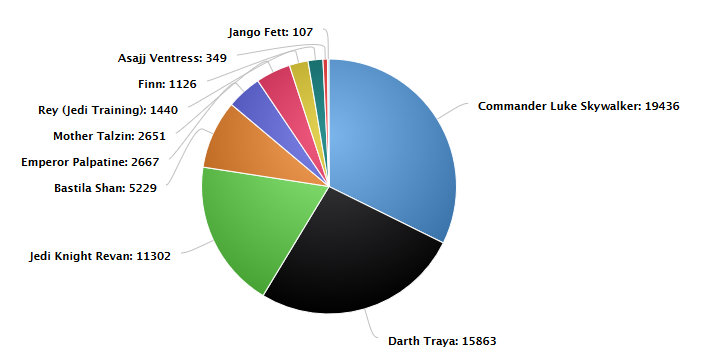 I wanted to capture the last hours where there was a pie chart until it became a full circle. Yes, mirror matches are both very boring and a problem. I plan to keep things on my Rebels as well. But I doubt many will use 2 teams. 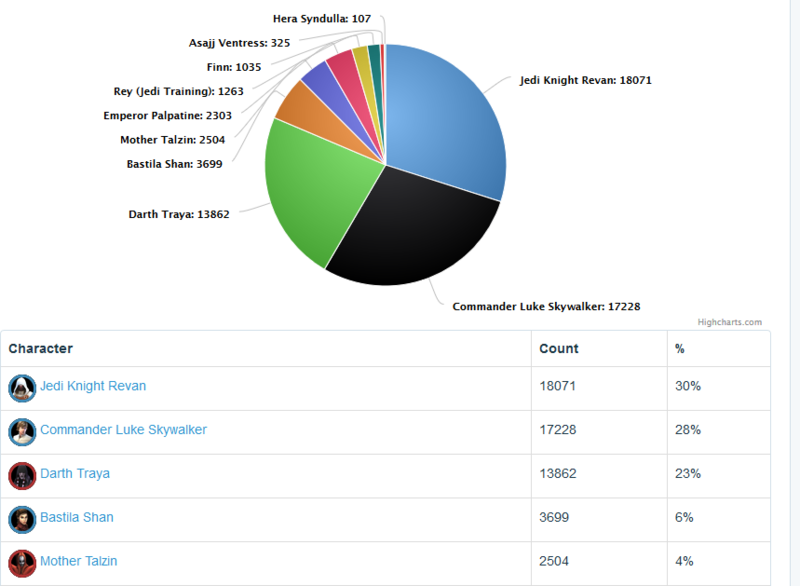 Yeah, so Revan has already been the vastly dominating meta after release. This is just the time that fact surfaces. No doubt. There's a very specific strategy involved in beating Revan with rebels, one that the AI certainly isn't going to do. Mirror matches are just miserable though. Rebels will stick around for a little bit and you can still climb, but they and Traya teams are going to be targeted viciously over the next few weeks while the new Revan owners learn the mechanics of the mirror. Also, the poorly modded Revan teams are going to get dropped harder. Will be an interesting wake up call for some players. 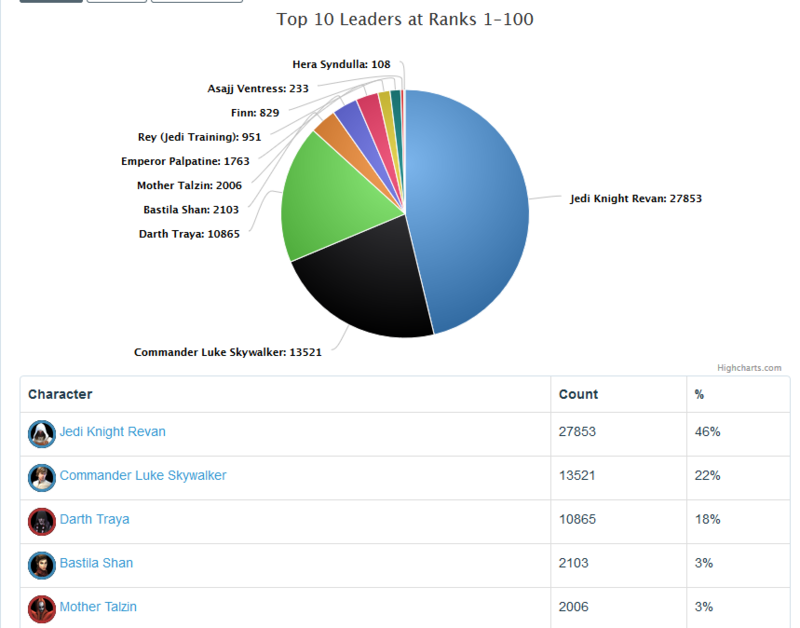 Is there any chance at all that the new toon (or toon rework) introduced in Feb won't magically be a Revan-killer? You can almost guarantee it’ll be a Revan competitor at the least. If you haven’t been refreshing for those newly dropped OR toons, you may be out of luck! Unless Ofcourse you drop some cash. All the BH reworks and every new character between traya and revan (which included chewy) made them good but still couldn't touch traya. And c3p0 which is a legendary that came out since revan is good and makes teams be able to challenge Revan,but still didn't replace him. So it's not a given a)that anything is coming in Feb b)that it's an instant revan killer...my guess and hope is his time has not passed. The dramatic move has started. And this is only for gear savers, long readies. The only reason you are better than me is because your team is better. I see a pretty good chunk of CLS teams on this. Do they all need C3PO? I have CLS and Han and Chewie all good but no C3PO. You could sub Thrawn for 3PO, probably not nearly as good though. edit:typo. 3PO brings Expose and mass assist, both critical elements in bringing down Traya and Revan. 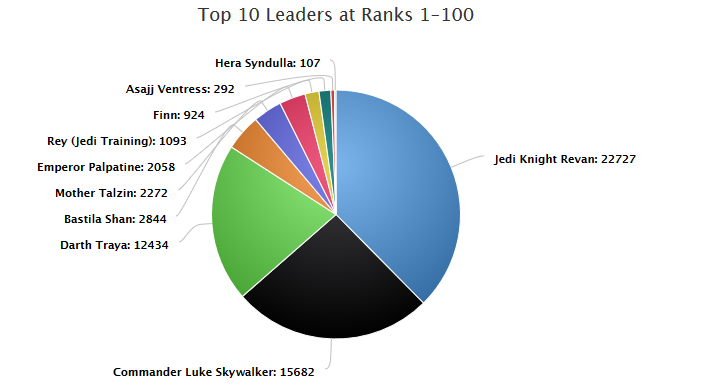 Top 100 Revan amount only doubled so far, but it's the top 10 where the crystals are that shows how significant the impact already is. 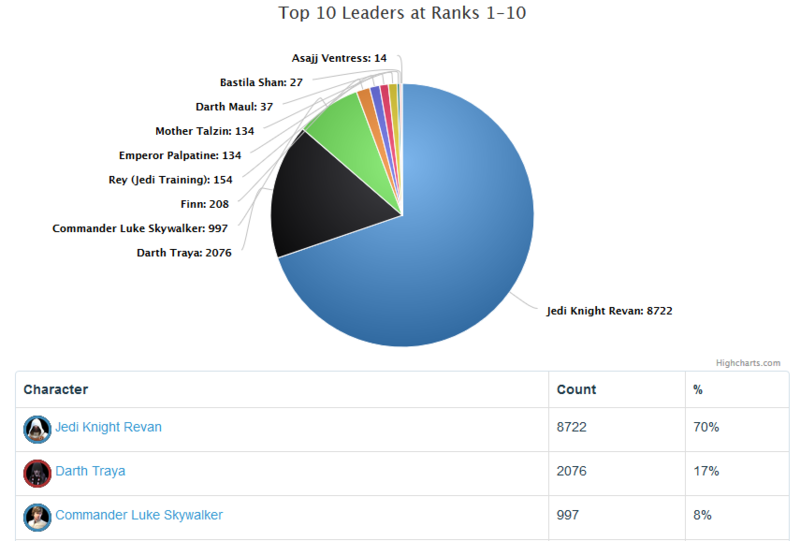 Revan Mirror became a joke since about a month, dunno what but something change. I can fight the exact same team (clearly less powered then mine's) 3 times and i can have a tie, a lost or a win within 2 minutes... how the hell i can win in 2 minutes and have a lost or a tie against the AI ?? Heading for half the pie in top 100. 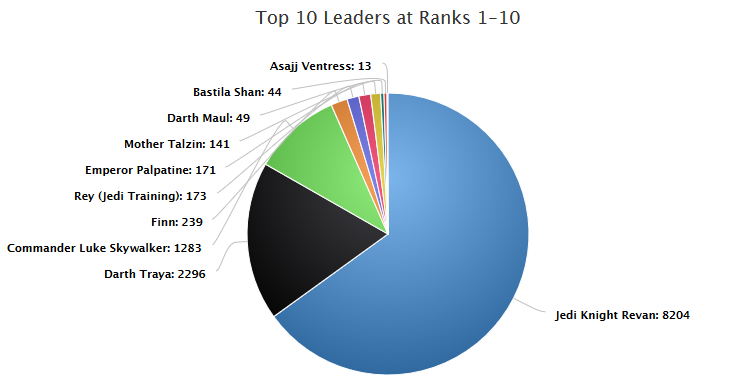 Top 10 is swamped dramatically. The curious thing to me is why Cls is way lower than Traya.